STOP Adani and climate activists marched through the Adani Rockhampton River Festival on Saturday calling for Rockhampton Regional Council to follow Townsville's lead and withdraw their $15.5 million pledge for the Adani coal mine's airport, and invest in renewable energy projects around their city instead. Dozens of people peacefully marched through the event along the Quay Street Riverside precinct dressed in Stop Adani T-shirts. Colourful flags with a brain coral design, a small coffin filled with model white dead coral and 'RIP Great Barrier Reef' headstones sent the message that we are cooking the reef with new fossil fuel projects and need to act on climate change now. 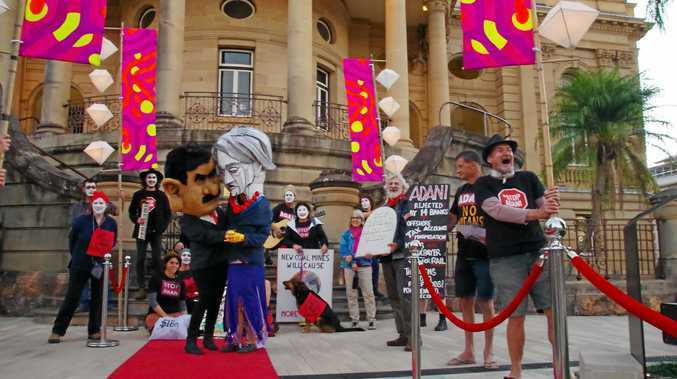 Activists with giant heads representing Mayor Strelow and Gautam Adani, the CEO of Adani, danced hand in hand. "It's ridiculous that Adani's Carmichael coal mine, and the opening up of the Galilee Basin to more new coal mines, will make global warming so much worse and thus destroy the health of the Great Barrier Reef by coral bleaching," said David McRae, media spokesperson for 350 Central Queensland. "Yet the Mayor has such a lack of foresight to allow Adani to sponsor the 'Music, Arts and Culture' riverside festival for short term gains. "The decision by Rockhampton mayor Margaret Strelow and the council to spend $15.5 million of ratepayers' money to fund a fly-in fly-out airport that's not even in our local government area, is bad enough, but to continue opening high emissions thermal coal mines, when we should be favouring renewable low emissions projects, just beggars belief." 350 Central Queensland is calling on the Rockhampton and Capricorn Coast community to join in the global Rise for Climate action day on September 8 as 'real climate leadership rises from the ground up'. 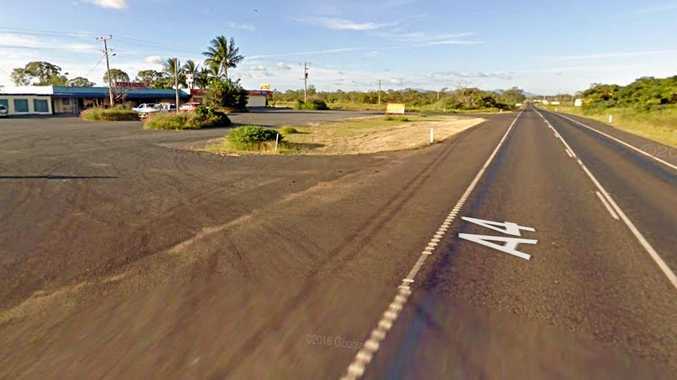 Local events will happen across Australia, including in the Rockhampton region.